Oklahoma's recreational kayakers have a few great rivers to enjoy here in the Sooner State. The photo on this post shows some of the fun Broken Bow's Lower Mountain Fork River has to offer. However, when you can't find a trip that meets your needs here in our state, try taking a short trip over our eastern border to visit Arkansas. In the last decade, Arkansas has invested a great deal of time, money and effort developing resources for kayakers. 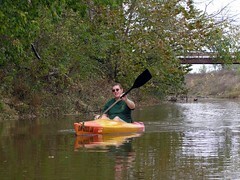 In fact, kayaks, paddles and life jackets can be rented at 10 Arkansas State Parks, and some of those parks offer the occasional guided kayaking experience such as the recent Cossatot River trip. Kayak rentals are now offered at Bull Shoals-White River, Cane Creek, DeGray Lake Resort, Devil's Den, Lake Charles, Lake Dardanelle, Lake Ouachita, Lake Poinsett, Village Creek and Woolly Hollow state parks. 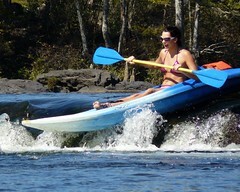 Call 888-287-2757 or see http://arkansasstateparks.com for more information. This is a great time of year to visit Arkansas because you can combine paddling with some truly primo leaf peeping. There are around 200 species of hardwood trees in Arkansas which is why it offers one of the longest fall foliage seasons in the United States. 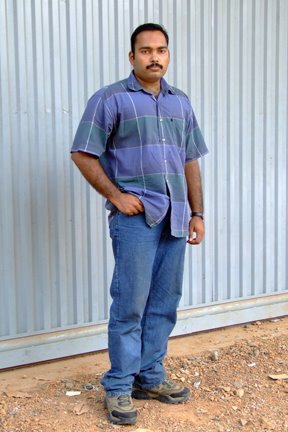 Thanks for stopping by, Kumar!